Last week, Dan and I hosted my parents over for dinner on the day after Thanksgiving. The tradition started the year we were married as a way to get to spend some time with my parents before the holiday season got too busy and time got away from us. I love throwing dinner parties, and I go all out with a formally set table. 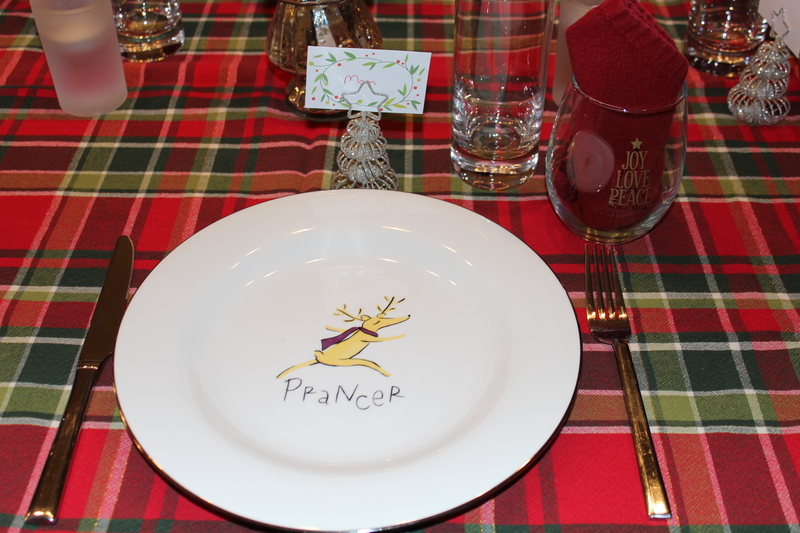 I even make place cards. The real star of the evening was dessert. I made a pizzelle cake. The reason was sentimental. When I was a kid, my grandma would make pizzelles every Christmas. She made them her own way, using real anise in the batter and rolling the still warm pizzelle into a cone shape. We’d then eat it filled with whipped cream. With the recipe and stovetop pizzelle maker for these special kind of pizzelles gone, I thought I’d try to start a new way of making and serving the Italian treat. 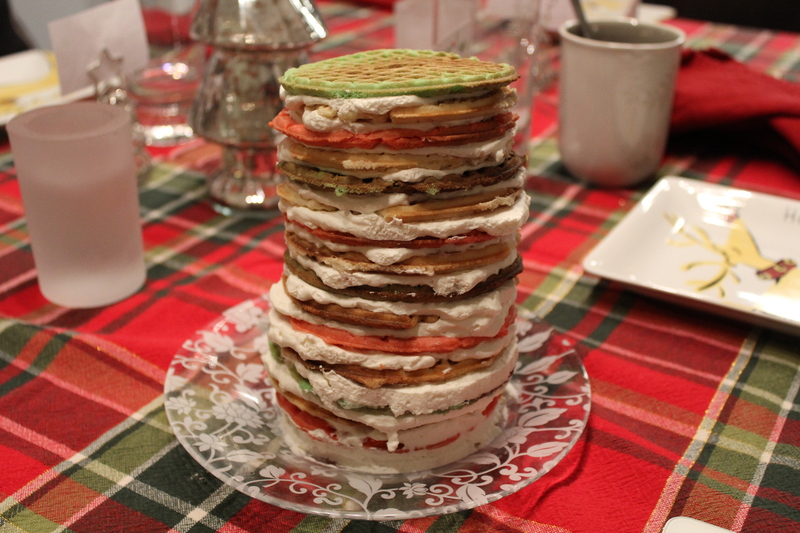 The idea for red and green pizzelles, along with the recipe, came from here. I’d recommend making this cake the day you want to serve it, as close to the serving time as possible. Due to the wafer thin pizzelle, by the next day, the whipped cream had turned the cake a bit soggy. Still tasty, but not quite what you’d be going for in this dessert.